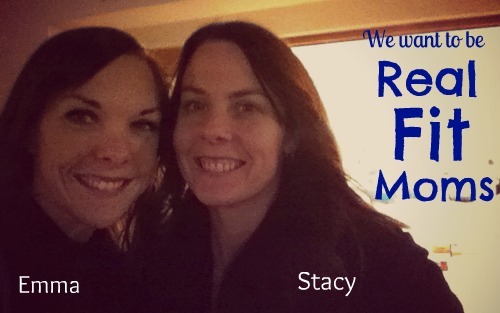 In naming our blog Real Fit Moms, I’m slightly afraid people might get the impression that we’re saying we have arrived. Please be assured that this is not the case. We are journeying toward this destination. Yes, Emma is a certified personal trainer and I am a certified nutritionist, but we are also human beings with lots of struggles of our own. We are working on attaining some health and fitness goals, slipping up and falling down along the way. Our hope is that we can walk alongside you and encourage you as we journey together. Our goal is to be real fit moms, to take care our health and well-being in an effort to be better wives and mothers and to enjoy this life all the more. I know many of you have the same goals. And that makes us happy. What do you say? Are you with us? Do you want to be a real fit mom, too?